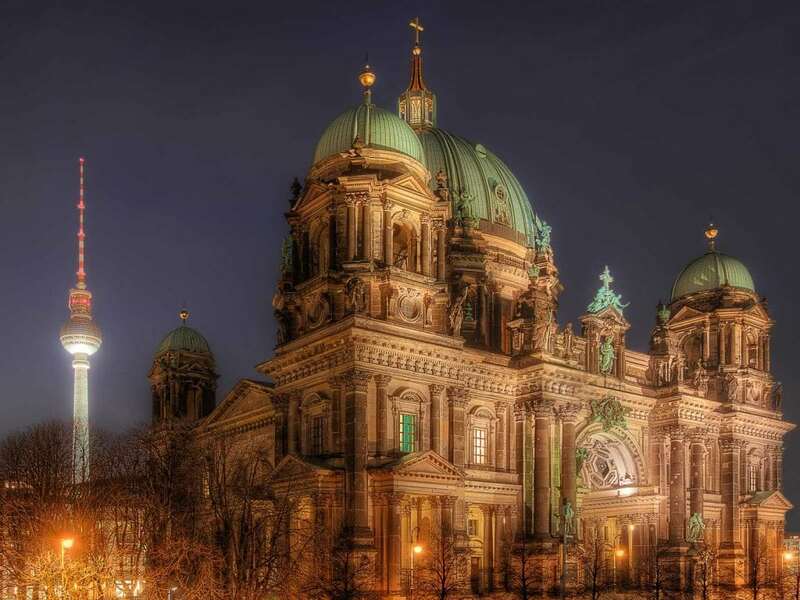 The Berlin Cathedral (Berliner Dom): To date, I have not met anyone who didn’t find it very aesthetic. By the way, this largest church of Berlin is a protestant, not catholic one. This fact comes as a surprise for most, but to me the age is more astonishing: Built from 1894 to 1905 the cathedral is just a little over 100 years old – pretty young for such kind of church. 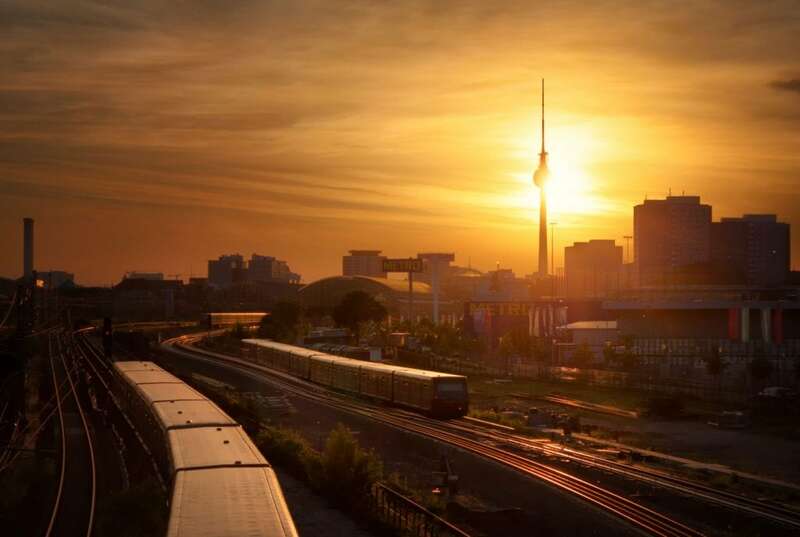 The S-Bahn and Berlin. More of a love-hate relationship than anything else. 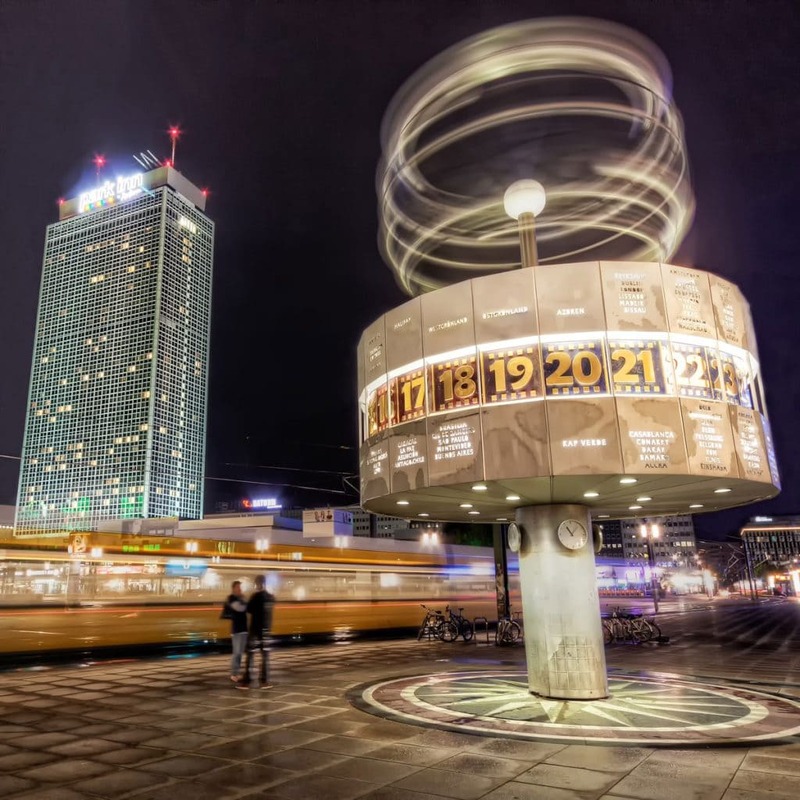 And if one metro scene is really typical for Berlin, then it’s the trains meandering through the city center. Just as you can see them in this image; approaching the center from the eastern part of the city. It was a wise decision of the Park Inn Hotel at Berlin Alexanderplatz, when they built a viewing platform on the roof a few years ago. 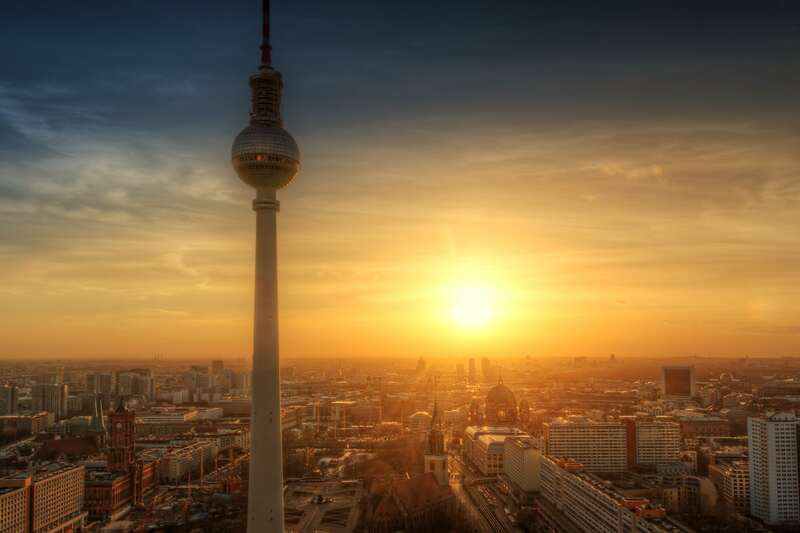 You can enjoy one of the best views over Berlin from up there – including a premium view on the television tower. I can recommend this hotel to everyone who comes to visit – even though, I as a Berliner never had a room there. But be careful that you book the room on the right side of the building.